This popular old school classic is back with some new classic look! 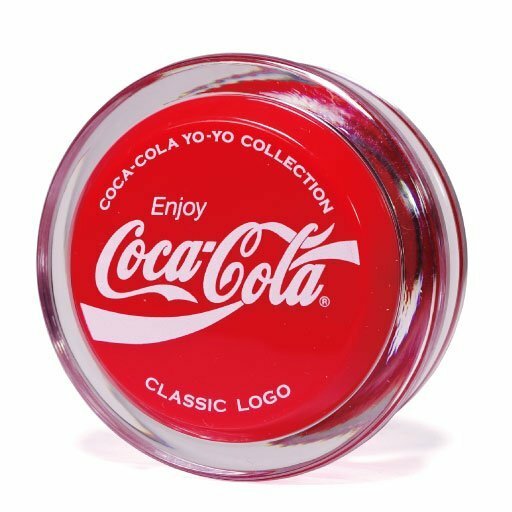 This is an official Coca-Cola yo-yo. This is a collector must have yo-yo. This yo-yo is made by FRESHTHINGS, owned by World Champion Hiroyuki Suzuki. The shape will definitely evoke nostalgia, as it's the same classic design as the original Russell Yo-Yo (Coca Cola Yo-Yo), but unlike the original, this yo-yo can be unscrewed and taken apart, allowing you to open it up and untangle string easily. In addition, the ball bearing gives it plenty of playability, and overall this yo-yo is quality. We recommend using looping oil if you want to increase this yo-yos responsiveness.